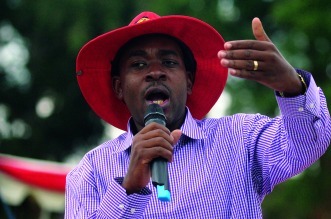 MDC Alliance presidential candidate, Nelson Chamisa, this week takes his campaign trail to Manicaland province where he has lined up five star rallies as the elections scheduled for July 30 draw closer. This was confirmed by MDC-T provincial spokesperson Trevor Saruwaka yesterday. “The president’s visit brings excitement to the province which decides the direction the politics of this country takes. We expect a high turnout as has now been the custom wherever Zimbabwe’s incoming president goes,” he said. Chamisa’s first port of call is Gaza Stadium in Chipinge Central on Thursday before he moves to Nedziwa on the same day. On Friday, he is expected to address a rally in Mutasa DC in the morning and Hauna growth point in the afternoon before moving to Sakubva Stadium on Saturday. “The hype is already unbelievable. Our people are eagerly waiting to be addressed by the president. Our president has a special message that he wants to convey to the electorate ahead of the polls. “We are making all the necessary preparations to ensure successful campaign rallies ahead of the elections which we have to win at all cost,” Saruwaka added.